Baking is definitely a passion of mine and I have loved it ever since I was little baking with my mum and now I always bake different types of cakes and muffins. All the recipes I have done on my blog so far have been one for the sweet tooth lovers so I thought I would share a low calorie but still yummy recipe. 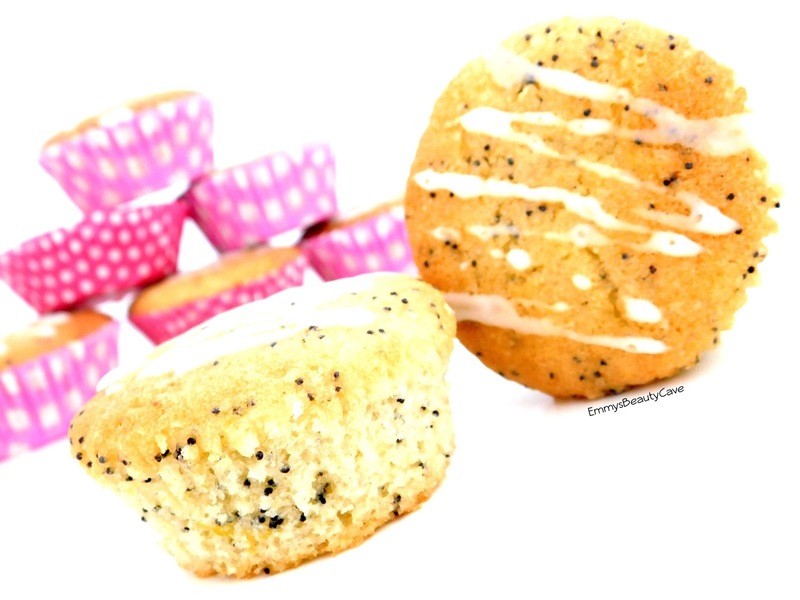 I am a lover of anything lemon and these Lemon Poppy Seed Muffins are delicious and only 86 calories. They are Gluten Free and Dairy Free too! 1. Mix together the butter and cane sugar then slowly add the eggs. 2. Add vanilla extract, baking powder, lemon juice and lemon zest. 3. add the baking flour slowly bit by bit then add in the finely ground almonds and almond milk. 4. fold in the poppy seeds until evenly mixed together. Set oven to 160 on a Fan Oven or Gas Mark 3. 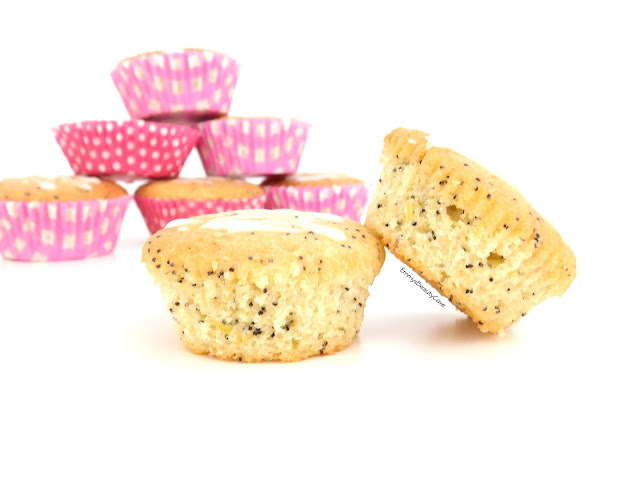 I used standard cupcake cases and cooked the muffins for 10-15 minutes. Keep checking them as you don't want them to over cook. Leave them to cool then mix up some icing sugar but so it isn't too thick. You can drizzle on top or poke holes into the muffins and let the icing sink in. That is it, they taste delicious and are super quick and easy to make.